Starting in just 7 DAYS! Grows Well in Both Sun & Shade! Winter Hardy and MUCH MORE! If It Grows On CONCRETE, It Will Grow Almost EVERYWHERE! 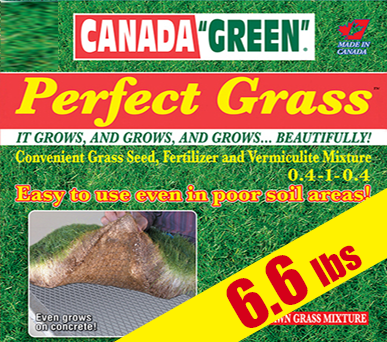 Canada Green Perfect Grass is the Perfect Solution for Poor Soil Areas! 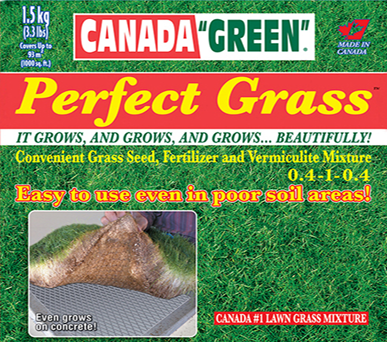 It's a Convenient and Innovative Grass Seed, Fertilizer and Vermiculite Mixture. Just Seed and Water, No Soil Required! It even grows on concrete! The Regular format contains 3.3 lbs and Can Cover Up to 1,000 sq ft! But wait! Order Today and Take Advantage of our DOUBLE OFFER: 2 x 3.3 lbs = 6.6 lbs! (Can Cover Up to 2,000 sq ft! The Regular Price is $33.98, but You'll Pay Only: $24.95 (SAVE 9$!). 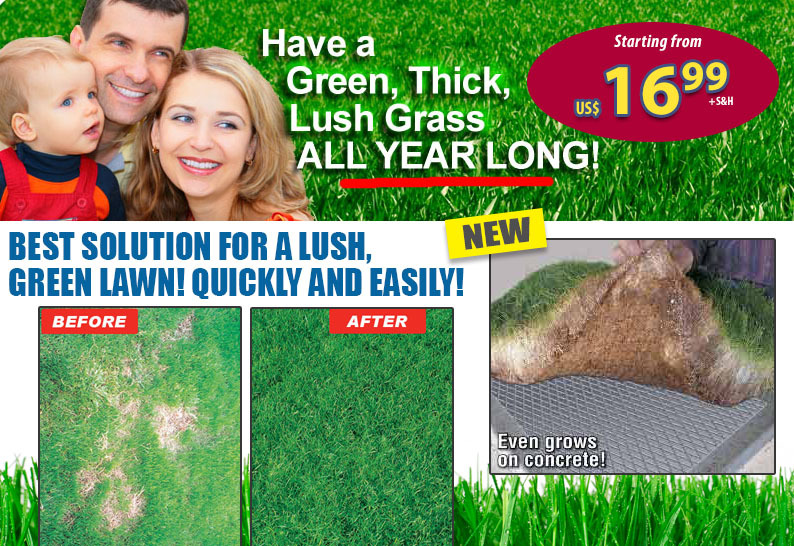 Grows almost EVERYWHERE, EVEN ON CONCRETE! Powerful Seed Fertilizer and Vermiculte Mix! No Need of Intense Sun Exposure! No Need to Hide in Shady Area! 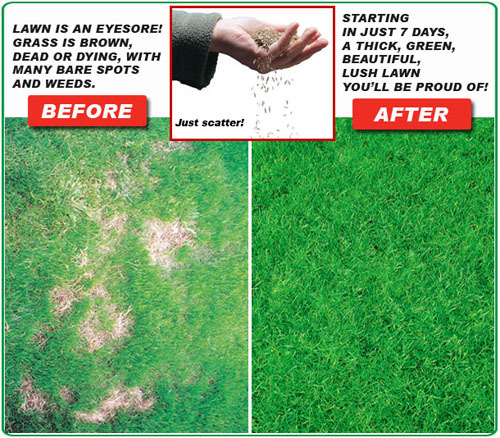 High Performance Grass Grows Faster! Just WATER Every Day until Growth is dense! © Copyright Canada Green 2019, All rights reserved.